Postal services in Lincoln have been disrupted for the third day running as postal workers continue to stage a wildcat strike over the introduction of van-sharing. Workers say they have not been trained for the revisions and that there is no national agreement via the union for the introduction of the changes but Royal Mail says that the changes were agreed with the CWU as part of a modernisation agreement and that the strike action is unlawful. It is thought that deliveries for the LN1-LN6 areas are being effected by the strike at Firth road delivery office. Cool. But does anyone know what van-sharing is? Its ended now, apparently they are going to have a ballot for an official strike, but that takes ages. 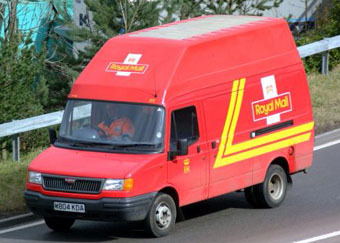 Royal Mail wants to implement a "van sharing" scheme where two postmen per van are sent out on certain parcel rounds – rather than the current system of one postman per van. Some workers – who had previously been bicycle delivery workers – arrived at work yesterday to be told that they now had to drive the vans.